Velvety Velutina is native to southern and south-eastern Africa (Malawi, Mozambique, South Africa and Zimbabwe) and it is closely related to species which grows in Asia (SW China, NE and W India, Indonesia and Timor). 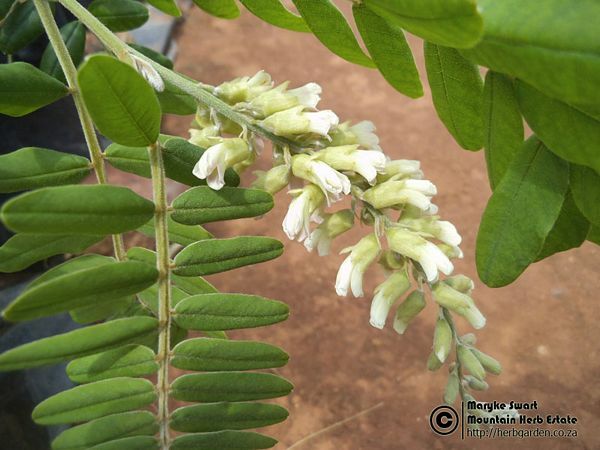 It has been suggested that it might be a descendant variety of a plant introduced centuries ago through trading contacts during the peak of the Zimbabwe culture. Velvety Velutina is a shrub that can grow up to 2m tall and in summer it bears creamy-white flowers in terminal racemes followed by pods beaded with 1-4 seeds.